Canada in January 2015 is set to launch a revamped immigrant selection system known as “Express Entry,” after extensive preparations throughout 2014. After several years of upheaval in Canadian immigration policy, this moment marks the end of a quiet revolution: the demise of the traditional points system worldwide. Rather than giving permanent residence to any immigrant who passes Canada’s points test, as in the past, Express Entry will create a pool of eligible candidates who must market themselves to employers or participating provinces and territories to secure a place in the Canadian immigration program. Building on policies introduced over the past few years, the new system will make it difficult to immigrate without a job offer or local work experience. The points system was a Canadian invention that dates back to 1969. In its traditional form, it admitted immigrants with characteristics such as university education, language skills, or experience in particular occupations. To qualify, candidates simply had to earn sufficient points across a range of criteria. They did not need a job offer, making this route an alternative to the widely used “demand-driven” system in which employers sponsor immigrants to fill specific vacancies. By contrast, points systems were often referred to as “supply-driven” because flows depended more on prospective immigrants’ decisions than on employers’ demand. Despite their popularity, purely supply-driven points systems encountered some stumbling blocks. If workers do not require a job offer to qualify, there is no guarantee that local employers will hire them. In Canada, points-tested immigrants who arrived in the mid-2000s without a job offer were much less likely to be employed in the first few years after arrival, and those who did find work earned half as much as their counterparts who came with pre-arranged employment. Evaluations in the United Kingdom and Denmark suggested that large shares of points-tested immigrants were either out of work or held low-skilled jobs. Perhaps more importantly, countries that kept their points systems—or that have recently introduced them—have given the traditional model a thorough overhaul. Once seen as the alternative to employer selection, the largest points systems now embrace employer sponsorship. Since 2010, both Canada and Australia have scaled back the share of immigrants admitted without a job offer. They have also introduced “expression-of-interest” systems in which employers are encouraged to select from a pool of preapproved, points-tested candidates. These reforms follow the example of New Zealand, where the points system heavily prioritizes candidates with job offers or in-country work experience. The most recent adopters have created a generation of hybrid systems that combine elements of both points-based and employer-driven immigration. This trend has taken various forms. One is the job-search visa. This model admits candidates with promising credentials, but only allows them to stay long term if they secure a job. For example, the Netherlands introduced an “orientation year” in 2009 for skilled migrants who meet various education and skill criteria. Austria followed suit in 2011 with a six-month points-tested job-search permit. Other countries are selecting candidates from abroad using points tests in addition to employer sponsorship. The goal is to ensure that employers’ chosen candidates meet a minimum threshold of education or skills considered necessary for long-term success in the labor market. Austria introduced such a policy alongside its job-search visa, for example. Japan jumped on board in 2012 with a similar system requiring both a points test and a professional job contract. In other words, the new generation of points tests looks very different from the supply-driven system first introduced in Canada almost half a century ago. As Canada completes its reforms, it follows in the footsteps of a host of countries inspired by its own example. 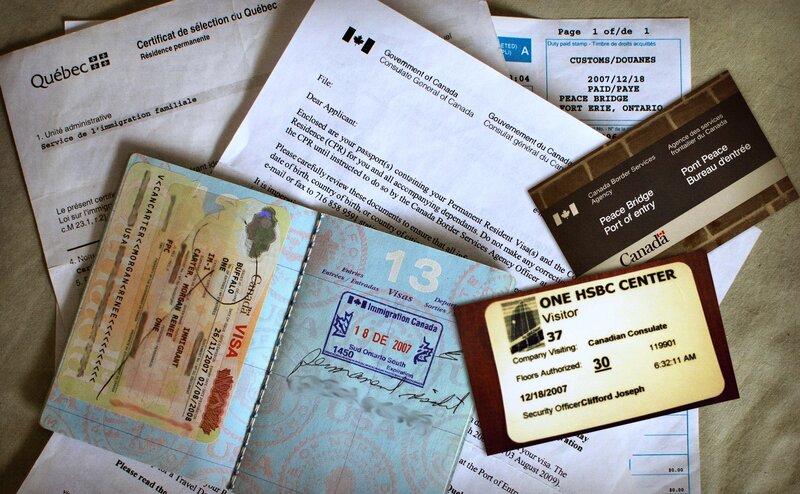 Citizenship and Immigration Canada. 2014. Express Entry. Last updated November 20, 2014. Available Online. Papademetriou, Demetrios G. 2007. Selecting Economic Stream Immigrants Through Points Systems. Migration Information Source, May 18, 2007. Available Online. UK Border Agency (UKBA). 2010. Points-based System Tier 1: An Operational Assessment. London: UKBA. Available Online.